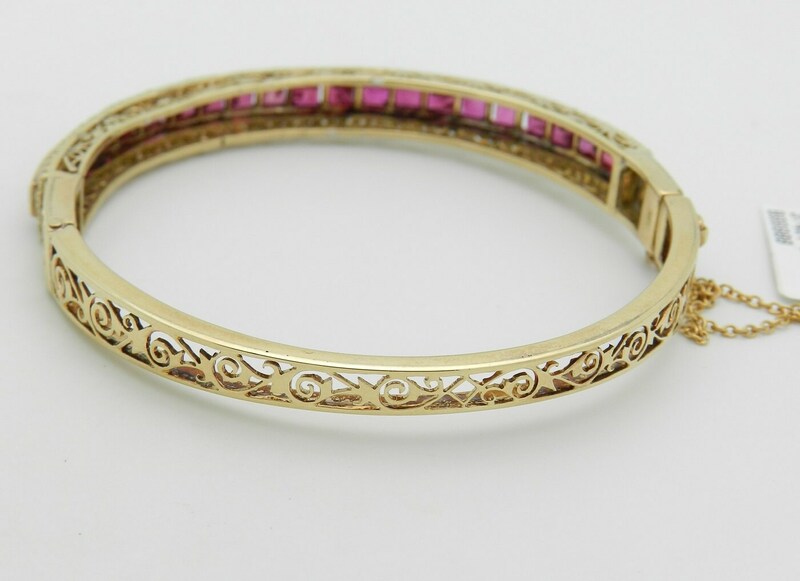 18K Yellow Gold Diamond Ruby Vintage Bangle Bracelet. 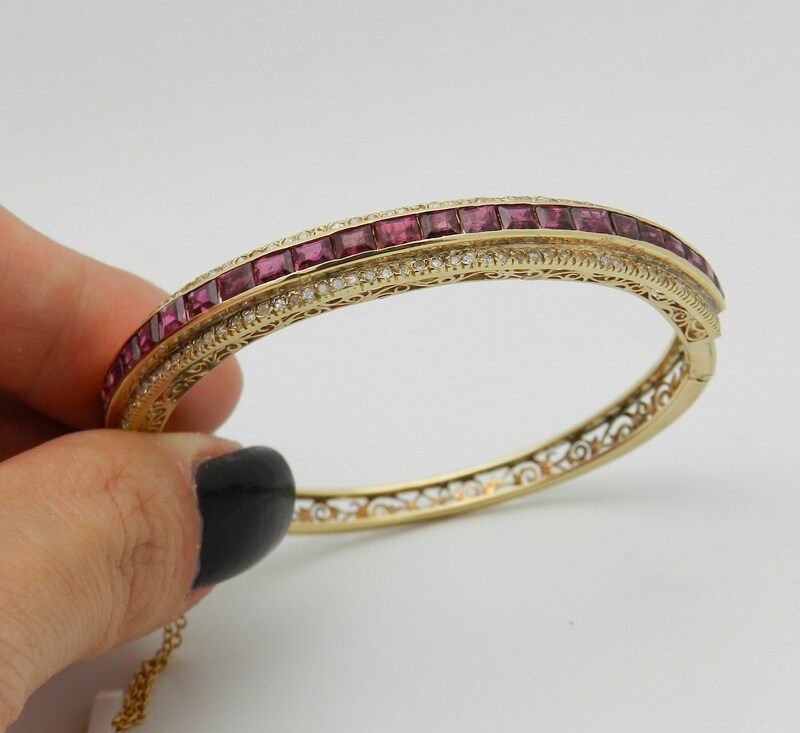 This bracelet is set with twenty-three genuine Baguette Rubies and one hundred and twenty-six (126) natural round brilliant diamonds. 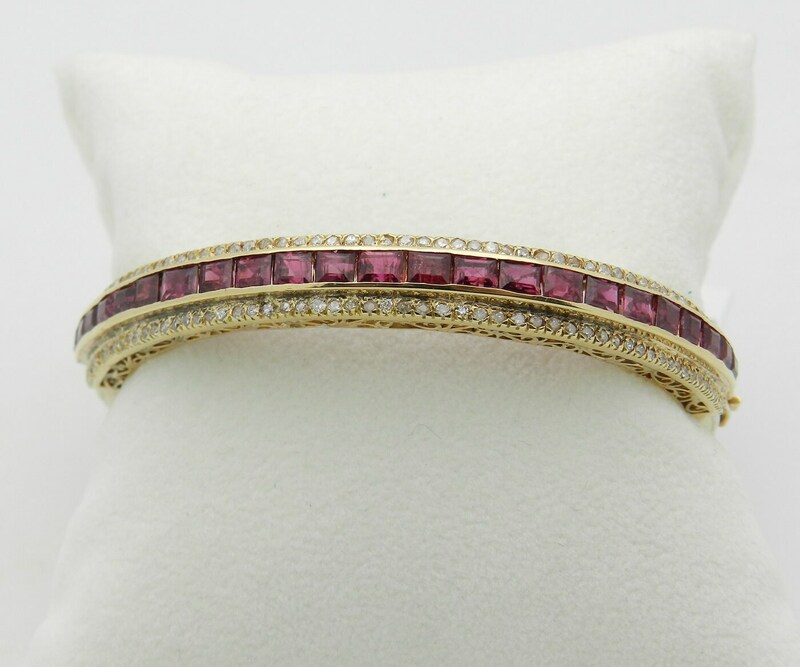 The rubies in this bracelet are a deep red color and combine to a total weight of 4.00 carats. The diamonds are H in color, SI/I in clarity and combine to a total weight of .75 carat. 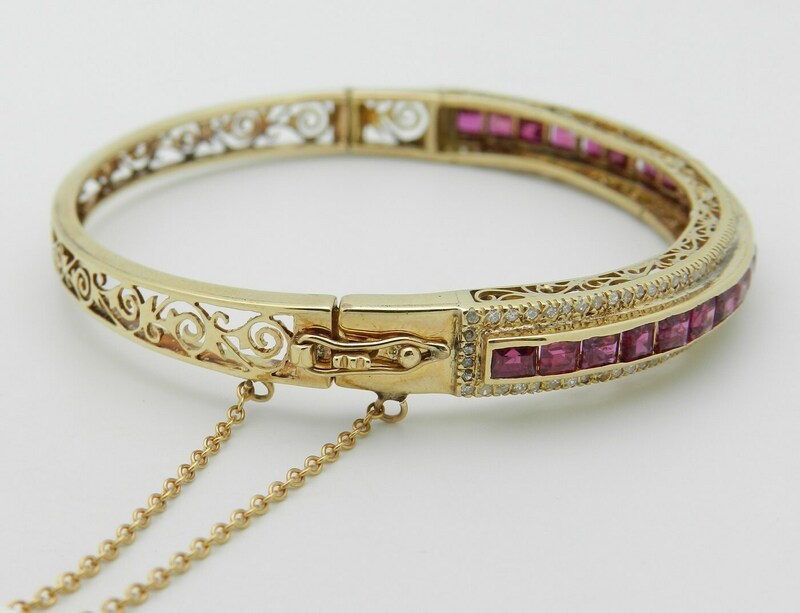 The bracelet weighs 20.0 grams, measures 7 mm in width and fits a standard lady's wrist. 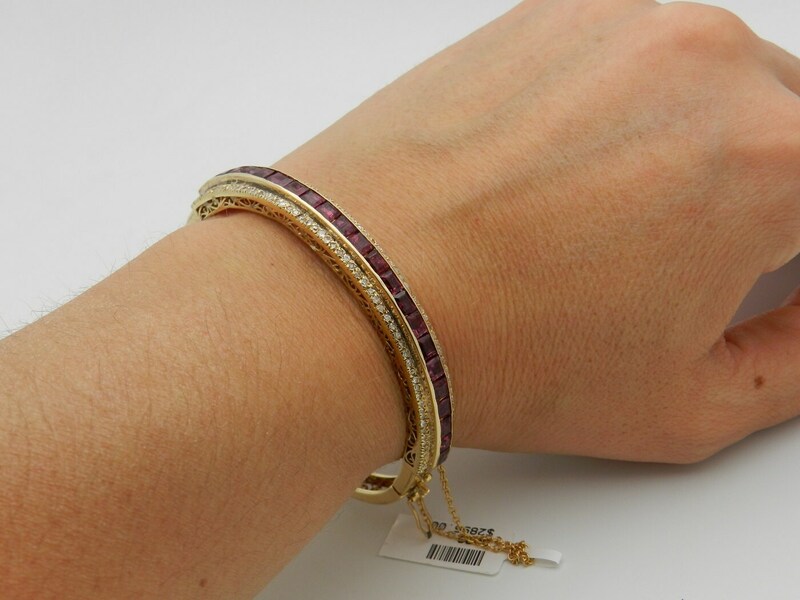 This bracelet has a secure clasp along with a safety chain. This bracelet will be accompanied by an appraisal by a GIA Certified Diamond Grader with the retail replacement value of $6,495.00. I will ship this bracelet promptly in a gift box.